Anyone who knows me understands how important this cause is to me. Thanks to genetic testing my disease was caught earlier than it might have been. I had absolutely NO symptoms and the so-called diagnostic tools didn't indicate cancer either. 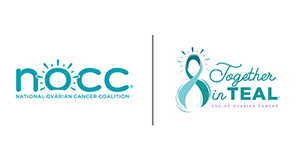 Now here I am managing the local chapter, creating awareness for this deadly disease so that other women understand their risk, and assisting other women in their cancer journeys. I hope that one day we have a reliable tool to detect ovarian cancer earlier and that a cure is in the near future. Thank you for the continued support and love!